You Are Here: Home > How Do I Check My Engine Oil Level? Checking your car’s oil level is a satisfying job most car owners can complete with a few simple instructions. Use the list here as a primer, or bring your vehicle to AutoMax Dodge and our skilled staff can check your engine oil levels at our Tulsa and Oklahoma City service center while you wait. Engine oil cleans and cools your engine while lubricating essential components. Without enough clean oil in your engine, moving parts can begin to rub together, causing excessive friction, which can cause the engine to seize costing you thousands in repairs. Levels aren’t the only thing to consider when checking your oil. Making sure that your oil is clean and changed on a regular basis is important too. As oil circulates throughout the engine it picks up dirt and debris, failing to remove this gunk from the engine can lead to excess wear and tear and cause your engine to break down sooner. Park your vehicle on a level surface and allow it to cool to avoid burning your hands. Locate the dipstick. The location can be found in your owner’s manual. Remove the Dipstick. Wipe it clean with a lint-free rag and take note of the two lines near the bottom; these are your fluid level indicators. Remove the Dipstick again. Holding it upright check to see where the oil level is. It should be between the two indicator lines. Add oil if needed. If your oil level is low, gradually add more oil according to the manufacturer’s guidelines until the level is between the two lines on the dipstick. Warm up your engine. Warm oil will drain faster than cold. Get your tools. You’ll need oil, an oil pan, gloves, and safety goggles. Jack up the front end. Using ramps or jack stands, raise your vehicle’s front end. Be careful to set the brake and put chocks behind the rear wheels. Remove the oil plug. Place a pan beneath the oil plug and remove it, allowing the oil to flow into the pan and not on the ground. The oil and plug may be hot. Replace the Filter. Lubricate and place the new filter tightening it according to the package instructions. Add Oil. Use the owner’s manual to the type and quantity of oil your engine needs and carefully pour it in the engine where directed. Put the car down. Remove the jack stands or back the car carefully off the ramps. Run the engine. Let the engine warm back up. Check for leaks and ensure everything is properly tightened. Check the oil level. Using the instructions above, check to make sure you’ve added enough oil. Recycle the old oil. Check with your local authority for the best way to properly dispose of your old oil and filter. 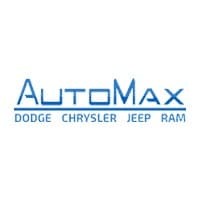 To let us check your engine oil levels for you, contact AutoMax Dodge near Tulsa and Oklahoma City at (888) 974-0688 or visit us at 4141 N. Harrison Ave., in Shawnee, OK.